“STEM from the workforce perspective is … more about grooming workers with 21st-century skills who are ready to jump right in,” says Jonathan Herlach for The National Science Teachers Association. STEM has a focus on hands-on learning. STEM challenges that can be integrated into any classroom by teachers who want to prepare their students to succeed in the modern workforce. 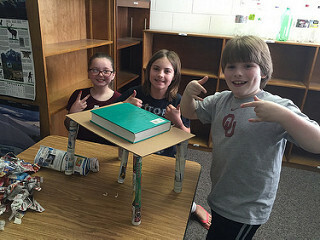 These STEM challenges, both the silly and the serious, can be integrated into almost any classroom and can help students develop the skills necessary to thrive. Described in Tom Wujec’s 2010 TED Talk and often used by both business and education leaders to initiate team building and to commence focus on STEM training, the marshmallow challenge involves providing a team of students with twenty sticks of dry spaghetti, one yard of tape, a string, and a marshmallow. Teams have eight minutes to build the tallest freestanding structure with the marshmallow on top. This is a great activity to begin a STEM class because of the way that it initiates collaboration and deep-thinking in an ancillary and introductory way. 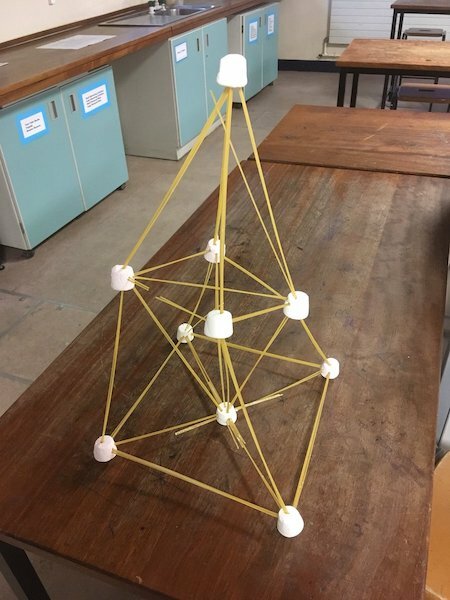 Download this Free Marshmallow Challenge worksheet for your class. 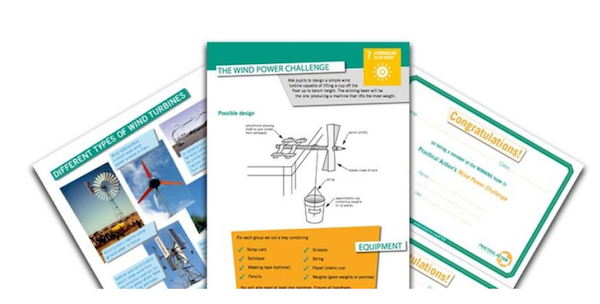 This STEM challenge from Practical Action prompts students to build a wind turbine. The goal of their simple wind machine is to lift a cup off the floor. The activity is for students 7 years old and up. But its a great challenge for middle school aged students too! This challenge is also initiated by Practical Action. It asks students to identify a global issue that can be solved or improved through technology. This challenge is for 11-14 year old students. Students are asked to research this topic and design a technology that will improve or repair their particular issue. While providing incredible resources for teachers and students, Practical Action has developed a challenge that can be implemented across the curriculum and that includes a “real-world” application to learning. The egg drop challenge is a classic! Students design and create a safety container for a raw egg. While the challenge is very engineering and design focused, there’s a great math & business element at play here too. Resources in this activity are limited. In the downloadable worksheet, students only have $100 to spend. They have to budget accordingly. You, as the teacher, get to set the prices for all of the supplies for the students to buy. Once students have built their design, hold a class competition to see who created the safest container. The egg drop challenge is simple and challenging enough for students at all levels to effectively participate and to have a great time. Download a free lesson plan and worksheet for the egg drop challenge here. Students will create a video featuring the process they followed to arrive at their conclusions, and this video can be submitted to NASA as part of the challenge. Download the teacher resources here. The creators of Raspberry Pi compiled an exhaustive set of resources for integrating Raspberry Pi projects into the curriculum. Sponsored by BP, the Ultimate STEM Challenge challenges teams of two to four students to choose from a short list of provided challenges that are based around the theme of thinking creatively. While this challenge is specifically for UK students, the resources are available to anyone, and teachers can integrate this challenge into their classroom regardless. Because their resources and challenges are so robust, this is a must-consider challenge for teachers looking for new ways to integrate STEM into the classroom. This is certainly a more advanced STEM challenge, but the teacher and student resources provided make it fully feasible and a great opportunity for students to particular in real-world learning through STEM. Not every STEM Challenge needs to solve a serious world issue. STEM learning begins long before our students are saving the world. The tinkering challenge has students race a toy car from one of end the table to the other without touching the car, altering the track, or touching the table. Students can work with available materials to design ways to move the car within the constraints of the challenge. 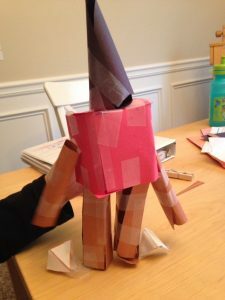 Build robots out of 3D shapes in this great STEM challenge for pre-k and kindergarten students. It’s helpful to show students how 3D shapes are made by having flat versions too. 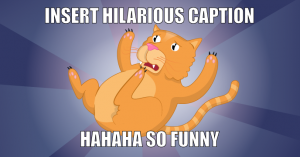 Download the free worksheet here that goes along with the activity. 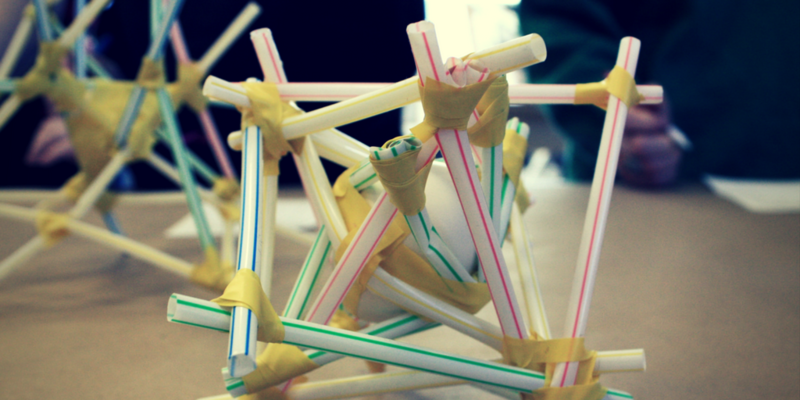 There’s plenty of free resources out there for great STEM challenges in your classroom! Or hop over to Teachers Pay Teachers for additional STEM challenge worksheets and printables. What challenges have you tried in your classroom? Let us know in the comments!